Ancient forests recall the legends of supernatural beings encountering the forces of nature. The Dreamworld Forest is a representation of the beautiful and mythical rainforests of the Pacific Coast. Since the beginning of time, the Kwakwaka’wakw people have experienced great encounters with supernatural beings and the supernatural forces of nature; and it is through these encounters that many legends of the forest are recalled. continuing to bring good energy to those who still live outside of the forest. The act of storytelling is an important part of Tlingit culture. This oral tradition is interwoven with the natural environment, whose energy enchants and brings legend to life. 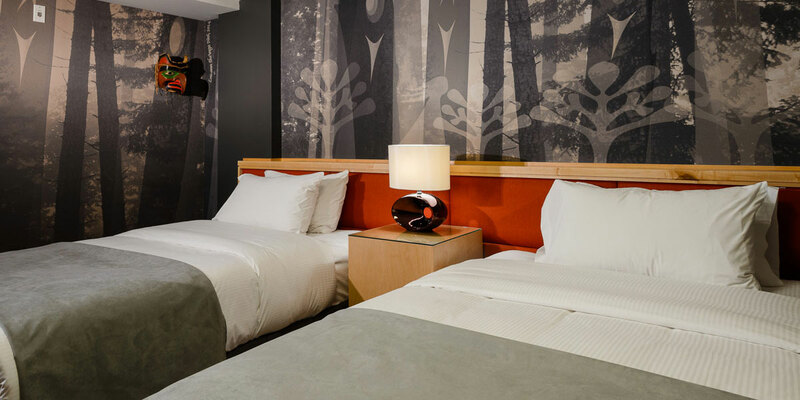 Inside Design Studio sought to recreate the dreamlike state invoked by the oration of legend in their design of the Wilderness Teachings Suite. A forested wall mural sets the scene and sepia tones evoke a sense of calm. The graphics in the mural are blurred slightly to give the effect that a dream is taking place and to illustrate the wilderness spirits that reside within the trees. As a whole the mural represents the spiritual relationship the Tlingit people have with the natural world as told in Kwakwaka’wakw legend. 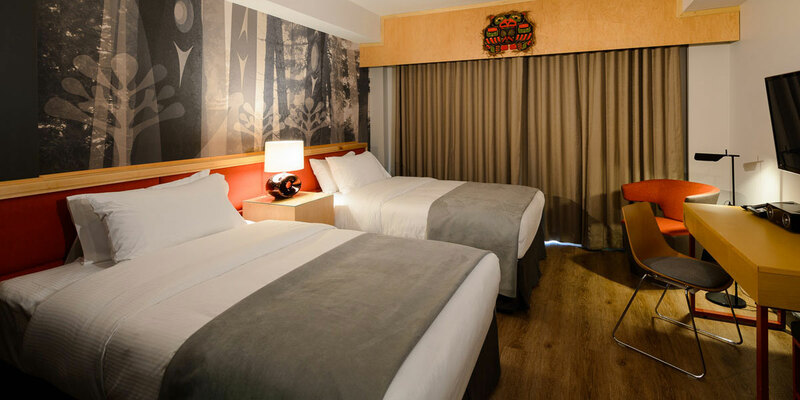 A neutral palette, wooden furnishings and carved Northwest Coast art further emphasize the suite’s forested setting. Pops of red, a colour traditionally used in Aboriginal artistry, complement the overall look of the space. 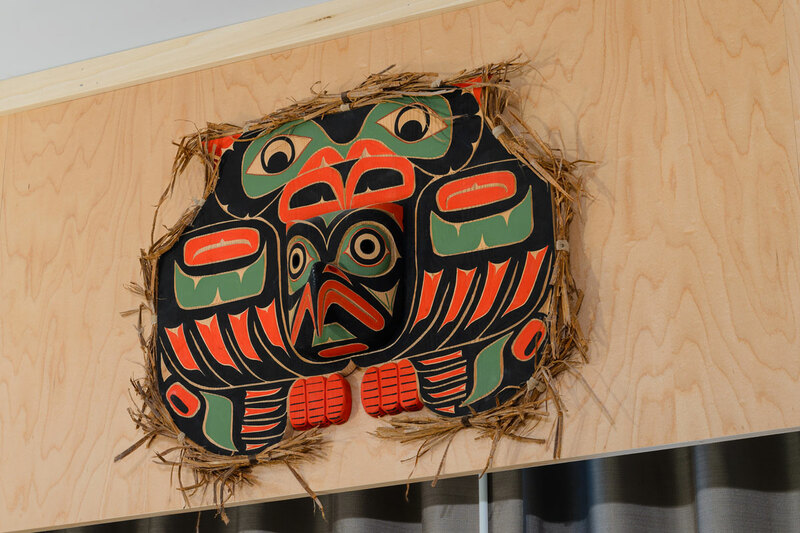 Using a mixture of photography, fine art, and interior design, the Wilderness Teachings Suite aims to capture the mystical connection the Tlingit Nation has long has with the forest.